Senator Pam Helming announced that the six counties that she represents are included in the New York State Environmental Facilities Corporation’s septic system rebate program. This fund allows property owners in eligible areas to be reimbursed for up to 50 percent of the costs for certain septic system projects up to $10,000. Senator Helming fought for this funding in this year’s New York State budget and worked aggressively to ensure that the counties she represents were eligible. The participating counties and eligible bodies of water in the Wayne-Finger Lakes region are as follows: Cayuga County – Cayuga Lake and Owasco Lake; Monroe County – Irondequoit Bay, minor tributaries, and Shipbuilders Creek; Ontario County – Canandaigua Lake and Seneca Lake; Seneca County – Cayuga Lake and Seneca Lake; Tompkins County – Cayuga Lake; and Wayne County – Lake Ontario and Blind Sodus Bay. Only septic system projects located on primary or principal groundwater aquifers or within 250 feet of the bodies of water that are failing or reasonably likely to be failing are eligible to participate in the program. “This is a big win for our region! Clean lakes are essential to making sure that our families can lead healthy, productive lives and that our small businesses can continue to drive the economy of our region and our state. This septic system rebate program will accomplish that by providing qualifying property owners with the resources they need to make the repairs and upgrades necessary to prevent unhealthy discharges to our lakes. It will also allow our communities to keep protecting our precious Finger Lakes and other bodies of water that are crucial to both our local tourism industry and our environment. I was proud to strongly advocate for all of the counties that I represent. To achieve this important funding is a big win for our region. I am glad that our upstate communities and our residents will be able to benefit from this program. I strongly encourage homeowners who are interested in participating to contact their county Soil and Water Conservation Districts,” Senator Helming said. 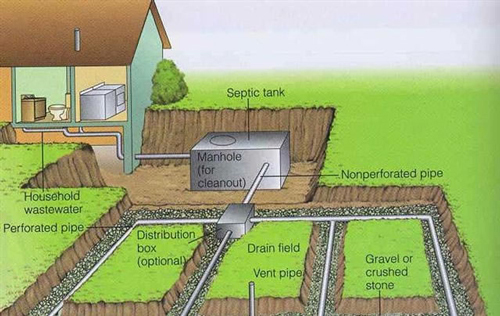 Eligible septic system projects include: the replacement of a cesspool with a septic system; the installation, replacement, or upgrade of a septic system or septic system components; the installation of enhanced treatment to significantly reduce environmental and public health impacts. Seasonal or secondary homes are not eligible for this program. Participating counties will determine the eligibility of projects. The participating county determines the project’s grant award based on the program criteria and the property’s location in relation to a body of water, impacts to groundwater used as drinking water, and the condition of the property owner’s current septic system. This funding is being targeted to geographic areas within participating counties that contain groundwater supplies and surface water drinking water supplies and other threatened or impaired surface waters where septic systems and cesspools are known or suspected to be adversely impacting the body of water.